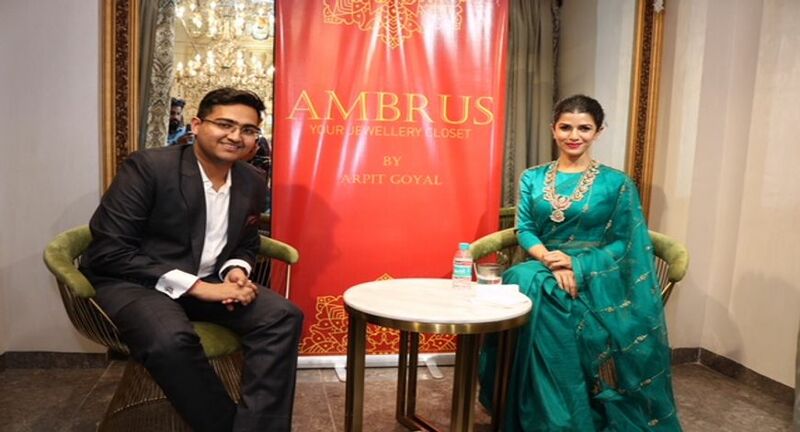 Ambrus Jewels by Arpit Goyal, inspired by a rich heritage and the beauty of rich culture, make the jewellery pieces a matter of high-end and luxe experience. The company unveiled its first flagship store at Defence Colony in South Delhi on 31st October 2018. Comprising of an exquisite range of rings, earrings, necklaces, and pendants the exclusive collection is a beautiful melange of enigmatic designs and inspired by the poetry of beauty. The event was graced by bollywood actress Nimrat Kaur of 'Lunchbox' and 'Airlift' and web series 'The Test Case' fame. She expressed immense pleasure in attending the event. According to her, the classic and elegant collection will surely be an eye catcher for any occasion. Acknowledging the family's support and patience the brand will ensure a seamless process that will leave behind a long lasting impression and a strong legacy. The enchanting appeal of this collection not only adds radiance to your face but reflects the inner artistic sense of the creator. Enhancing the diva in you the jewellery pieces will surely enhance your style quotient.